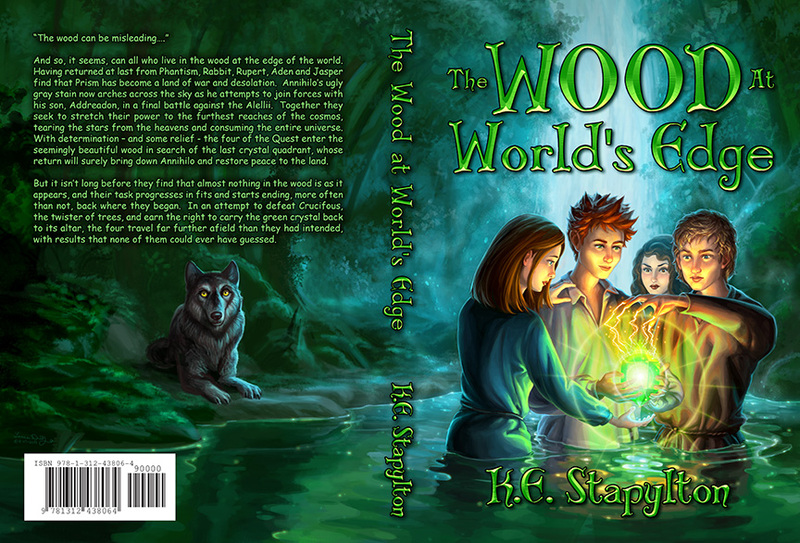 I'm happy to share with you a newly finished book cover for my author client K.E. Stapylton. This cover is the 4th for her Prism series, more information on the series HERE or purchase this book on AMAZON or LULU. It's exciting to work on covers for an ongoing series as I really feel that I get to grow with the characters every time the next book comes due for a cover. For this cover, I especially enjoyed the lighting situation I was given. Specifically the contract of the 'magic' light being cast by the children and the crystal vs. the cool misty light from the waterfall at their back.